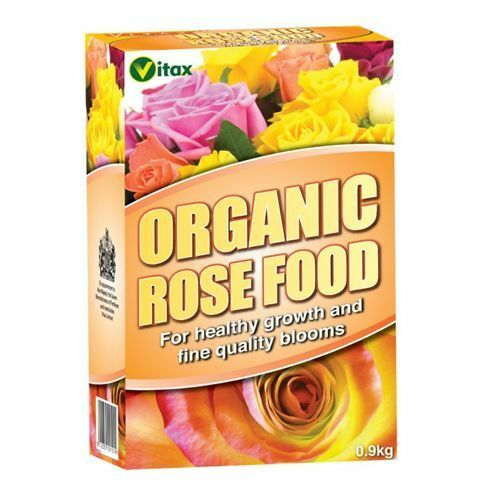 Made from poultry manure enriched with natural potash, Vitax Organic Rose Food supplies the three major nutrients needed for abundant blooms and green leaves. It provides 100% organic, natural plant goodness. The formula means that nutrients are released to the soil over an extended period and a single application can provide all that is needed for the whole growing season. However, for best results apply at the start of the season and repeat in early June. Apply 25g evenly around the base of the plant in early spring, keeping the granules off the leaves and stems. 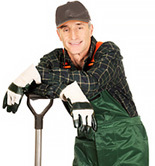 Hoe in lightly and water if the soil is dry. Repeat application in early June prior to the second flush of blooms. mix 50g with the bottom soil, ensuring that the hole is dug both deep and wide enough to allow the roots to spread out evenly. The bud union should be 2.5cm below soil level when planting is completed.